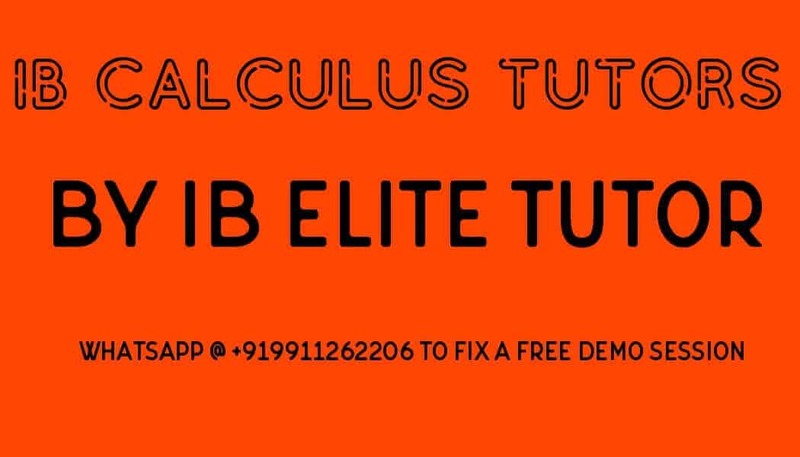 IB Calculus tutorial contributes a major chunk in the IB Maths Tutor‘s work. It has varied applications across the fields like physics, economics, chemistry or any other subject of your choice. Higher/graduate studies rely heavily on calculus. So the straight advice is to take the subject sincerely and seek the help of a tutor if necessary. Calculus is categorized as differential calculus and integral calculus, Differential calculus starts with measuring the change in the function with respect to its variable. The measure of change is called derivative or gradient of a function. Derivatives are obtained with a rule called “The first principle”. Try finding derivatives with the help of this rule. The derivative of a function tells about properties of function related to change i.e. if the function is increasing or decreasing. It also gives tangents and normal at a point on the curve (basically a function). The second derivative essentially is a derivative of gradient function or the say measures change in the change. In physics, velocity and acceleration are e.g. of the first and second derivative of distance/displacement function. Growth function, demand or supply function in economics are checked if they are increasing or decreasing. Once derivative is obtained or known for basic or standard functions like polynomial, algebraic, trigonometric, logarithmic, an exponential function, they can be utilized to find derivative of any function using rules of linearity, product, and quotient rule. The change in “function of a function” (composite function) is calculated with an important rule known as “Chain rule”. The rule also helps in changing the variable on which function is dependent. Differential calculus further introduces the maximum or minimum of a function. This topic is an interesting interplay of the first and second derivative (even higher derivative). In fact, this topic is a student first meet with Theory of Optimization. Learn basic or standard integrations or anti-derivative and then integration of others functions can be achieved with the help of rule of substitutions rule and/or integration by parts. Mind you, integration using substitution and by parts is an art and once learned pays throughout your advanced studies. The next stage in integration is Definite integral. It is integration within boundaries i.e. the dependent variable is limited in range. Real world applications requiring integration will have a definite integral. While doing definite integration knowing the definition of even/odd function, a periodic function is a must. Integration of Trigonometric functions is important. To get them properly, be thorough with properties and identities of trigonometric functions. Definite integration plays a major role in advanced studies like Fourier series/ transforms, Laplace transforms, solving differential equations etc. You at diploma program stage will use them solving problems based on Newton’s law motion and electromagnetics in the physics course with the help of your IB Diploma Tutors. Application of definite integrals, although very many, the diploma course covers finding the area under a curve i.e. quadrature and finding volume through the revolution of a curve about a fixed axis. Interestingly, a student would, for first time derives and calculates the area of a square, triangle, circle and volume of a cylinder, sphere, volume of cone and frustum with the help of quadrature and volume of revolution which they have unto memorized. A student also learns to find the area enclosed within two planar curves and thus finds the area of non-symmetric planar shapes. Good imaginative strength of planar, solid or 3D shapes can be a game changer.